AMD A6-9220 APU. RAM: 4 GB / Storage: 1 TB HDD. Processor :AMD A6-9220 Processor- Dual-core- 2.5 GHz / 2.9 GHz (Turbo Core). HERE WE HAVE FOR SALE AN EX DISPLAY AND IN VERY GOOD CONDITION A HP NOTEBOOK 15-BW550SA 15.6" LAPTOP IN GOLD COLOUR. Serial numbers noted for my security. This was my daughters.she now has a new one. HP 15-bs046na Notebook. HP 15-bs046na. I have tried to photograph them - they're fairly easily ignored though. Bluetooth Compatible. HARD DRIVE CAPACITY: 1TB. PROCESSOR TYPE: AMD A-Series. STORAGE TYPE: HDD (Hard Disk Drive). It doesn't matter if you're a serial tweeter, box-set binger, or workaholic. If you do find yourself running low on juice, fast charging will have your laptop running at 90% capacity in just 90 minutes. Model: 80XV00DKUK. MPN: 80XV00DKUK. Platinum Grey, the IdeaPad 320 is designed to keep up with you. Discrete graphics cards rely on their own processing power, so you'll experience smoother graphics, less screen tearing and better gaming performance without compromising overall speed and responsiveness. Processor: AMD E series E2-9000e Dual Core 1.5 GHz. Storage: 1 TB 5400 rpm SATA HDD. HP 15-bw034na 15.6" Laptop. Laptop Accessories. Enjoy long-lasting durability on a laptop designed to do what you want with ease. AMD E2 9000e Dual core Processor. AMD Radeon™ R2 Graphics. A large 1Tb (1000Gb) hard drive gives you storage space for up to 280,000 digital photos, 250,000 songs, 440 hours of DVD standard video or 120 hours of HD video. HDD: 1TB HDD. Capacity: 4GB RAM. On-Board Graphics: AMD Radeon R5 Graphics. AC Adaptor Provided: Yes. Pointing Device: Touchpad. Number of Keys: 102. Full Sized Keyboard: Yes. System: Integrated Stereo Speakers and Microphone. Lenovo IdeaPad 320 Grey,Platinum Notebook 39.6 cm (15.6") 1366 x 768 pixels 3 GHz AMD A A9-9420 - 80XV00DKUK. Everything about the IdeaPad 320 is designed to simplify your life. The biggest challenge you'll face is choosing your perfect color. MODEL: Envy m6. Hard Drive: 750 GB HDD. For storing your music, photos, videos, and more, it's equipped with a 1TB HDD storage. Other integrated features include 802.11ac Wi-Fi, Bluetooth 4.1, a webcam, microphones, speakers, a fingerprint reader, and a 3.5mm mic and headphone combo jack. MODEL: W520. Hard Drive: 930GB HDD. Type: Notebook/LaptopBrand: LenovoProcessor: Intel Core i7 2nd Gen.
One (1) HDMI. One (1)USB 2.0. One (1)SuperSpeed USB 3.0. One (1) RJ-45 Ethernet. One (1) 3.5mm Microphone/Headphone combo. Output: 20V, 2.25A. Input: 100-240V, 50/60Hz. Power Adapter Specifications. Type: Notebook/LaptopBrand: LenovoProcessor: Intel Core i3 6th Gen.
DVDRW drive. Dell Inspiron 15 Fusion Quad-Core A10-8700P 1.8GHz15.6" LED Laptop. AMD Fusion Quad-Core A10-8700P 1.8GHzprocessor. Dell Wireless 1707 802.11b/g/n Bluetooth 4.0. High definition audio with Waves Maxx Audio and two 2W stereo speakers. Processor Speed. HD Graphics 620. Processor Model. Processor Type. Total Hard Drive Capacity. Optical Drive Type. Display Screen Type. Total Number of USB Ports. 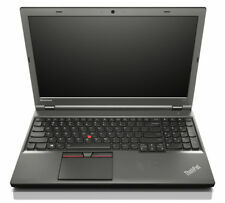 Lenovo ThinkPad W540 Core i7-4600M Dual-Core 2.9GHz 15.6" LED Notebook. 500 GB SATA hard drive. One (1) RJ-45 Ethernet port. Device is in good condition. Will show slight signs of scratches, dents or scuffs. Used for 1 year. Has been tested and the Computer should be working just fine. Besides that the computer is in great condition and should cause no problems. Charging cable has small cut that has been taped over and works perfectly fine. 500GB Sata SSD Storage. 8GB DDR4 RAM. 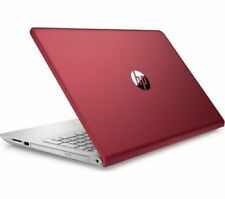 HP Pavilion 15 Ultrabook. We will cover the repair of any malfunctioning hardware that is not caused by an accident. Up to 10 hours battery life. Brand: HPProcessor: Intel Core i7 8th Gen.
1 Terabyte (1TB) SATA hard drive. 8GB DDR4 2400MHz RAM. One (1) HDMI port. Two (2) SuperSpeed USB 3.0. One (1) USB 2.0. One (1) RJ-45 Ethernet. One (1) 3.5 mm Headphone/Microphone combo jack. Output: 19.5V---3.34A. Dell Inspiron 15 5578 Touchscreen15.6" Convertible Laptop. Convertible to 4 modes: Notebook, Tablet, Stand and Tent. One (1) RJ-45 Ethernet jack. One (1) 3.5 mm Headphone/Microphone combo jack. One (1) HDMI port. Dell Inspiron 15 Pentium N3700 Quad-Core 1.6GHz 15.6" LED Laptop. 4GB DDR3L RAM. Two (2) 2W speakers. Two (2) USB 2.0 port. One (1) HDMI. One (1) USB 3.0 port. One (1) Headphone/Mic combo jack. Power Adapter Specifications. CHOOSE 14"-15.6" SCREEN! CHOOSE Your Operating System! CHOOSE 14"- 15.6" SCREEN! CHOOSE Your Operating System! AMD A6-9200 2.0 GHz Dual-core processor with 4GB DDR4 SDRAM. 12GB 2400MHz DDR4 RAM. 1 Terabyte (1TB) SATA hard drive. Built-in webcam and dual microphone. Two (2) SuperSpeed USB 3.0. One (1) HDMI. One (1) USB 2.0. One (1) RJ-45 Ethernet. One (1) 3.5 mm Headphone/Microphone combo jack. WOW! Webcam + Numerical KeyPad + USB 3.0 + DVD Burner! NEW Lenovo 20KS003WUS ThinkPad E580 i5 7200U, 4GB RAM, 500GB HDD, 15.6"